Last year, Holly went out to cheer on our friends and family who ran the OKC Memorial Marathon, and after hearing how much fun it was, I decided to take a turn again this year. The weather was perfect and there was a great turnout as always. 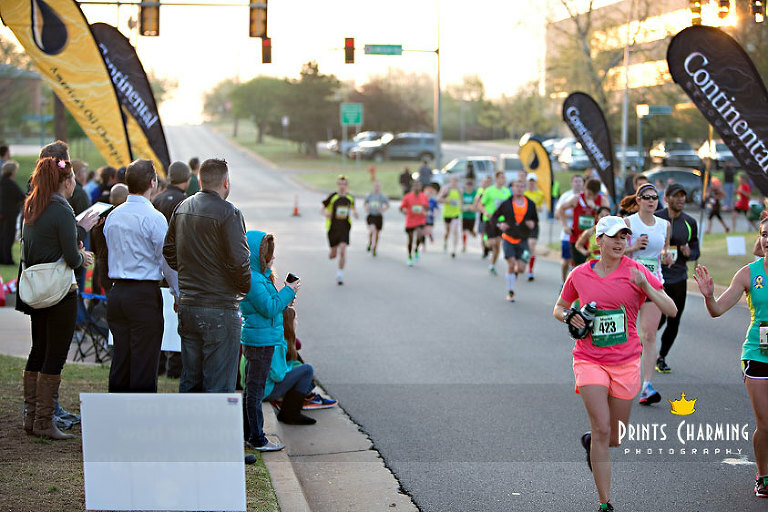 I’ve photographed the marathon before, one year for a local business who wanted photos from the event to use in some of their publications, and one time as the official course videographer with a video camera mounted to my motorcycle. It’s an early morning and an exhausting day, but a ton of fun to experience the electrifying energy of the crowds running such a meaningful race. Here’s our little gang waiting in anticipation for our runners to round the corner and appear by the 4th mile drink station. And then, all of a sudden, some faces we recognize! 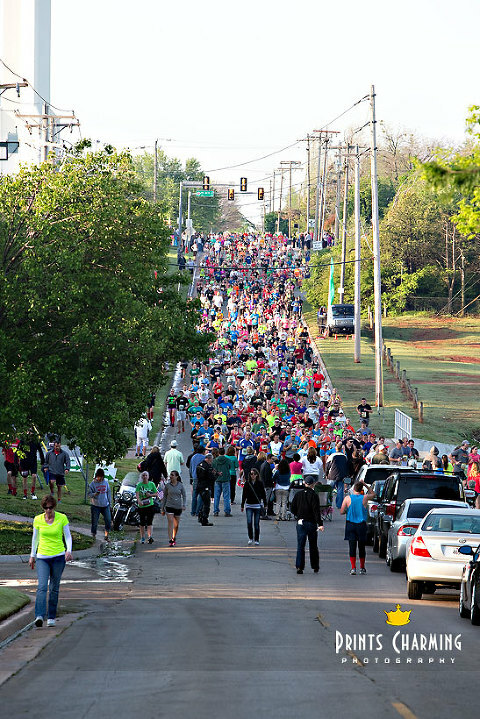 It’s quite the sea of people… And this is just after the 6 mile marker! Definitely a highlight on the route… the Sharpe’s drink stand! 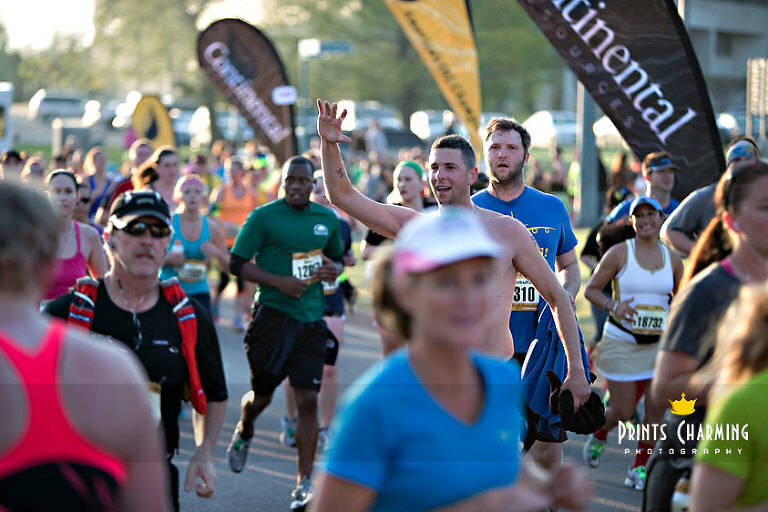 Runners were provided shots of Jagermeister, Guinness, vodka, bloody marys… Whatever they needed! Such a fun stop, and a blast to see people’s expressions trying to drink fast and keep going. =) More than one runner said, “This is my favorite stop of the day!” in just the 15 minutes or so while we were there. And finally, a few of our gang posing with their medals. Congrats to Benj, Micah, Chelsea and Heidi; and to the many other friends I saw running that day! 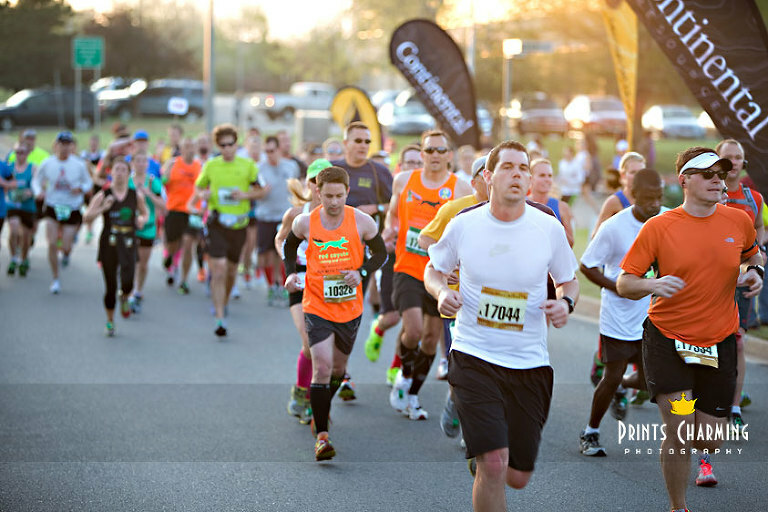 I posted about 100 photos to our 2013 Memorial Marathon Facebook album, if you want to check them out and see if you can find anyone you know! Feel free to tag people!